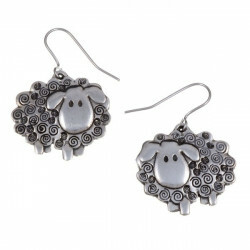 This adorable sheep will gladly hang to your ears ! 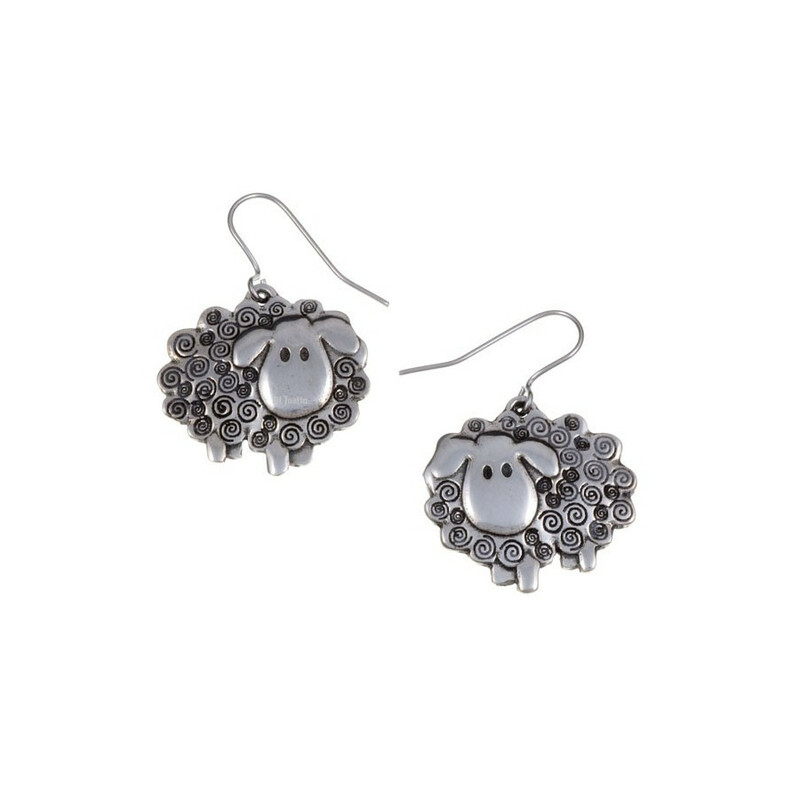 Earrings made of tin with surgical stell hooks. Height (with the hooks): 38mm. 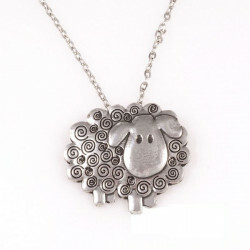 This pendant features the iconic Irish sheep! A lovely design that includes a tin chain and delivered in its black satin case. Made of tin with surgical steel hooks.